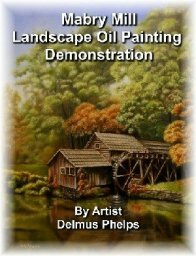 Oil painting mediums and their uses. I have a problem varnishing my oil paintings, I used Delmar varnish and it was still sticky six weeks later, I tried to thin it with solvent and still takes weeks to dry, what is a good varnish and what am I doing wrong? How long do I need to wait till I can varnish my paintings? Also do you have any how two?s to paint drapery as I am having trouble putting the color over the dead layer? Any help is appreciated! It can take 6 months using traditional methods to dry prior to varnishing. It also depends on humidity. I think I have a demonstration on the website for drape. I know there is one in the ebook. 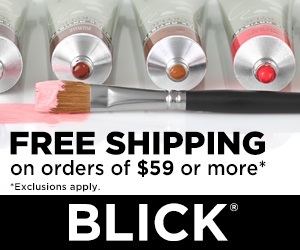 Mostly you put color in areas that are lit well using a thick opaque mixture. In the shawdow areas, it is a thin glaze that you use. The middle or half tones are already done for you with the dead layer. ps, you can add alittle alkyd dryer to the damar to help it to cure faster, but it is the underlying paint film that truly must dry before varnishing, or your painting will crack when the varnish dries, and the paint film underneath continues to dry. Also, never use odorless paint thinner with Damar. It does not have the power to properly dilute this type of varnish. Use only turpentine. I live in Brisbane and am trying to source raw linseed oil. Is refined linseed oil the same thing? Hi Jennine! Check out a boating supply or hardware store. Online also. 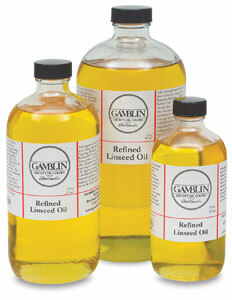 Raw linseed oil is not filtered as well as refined linseed oil. It usually is not considered artistic grade. I do use it to oil out my canvas, but not in mixing with the paint. The odorless mineral spirits does not go by other names. There is a product called Turpenoid which is an odorless turpentine. I am not sure of its properties. If you are using Damar varnish in your mixtures, you must only use turpentine to cut it. Both are organic and the turps will break the Damar down properly. If you use odorless mineral spirits with Damar, you get jelly. The OMS is not organic and will not cut the resins within the Damar down enough to use properly. If mixed, the gel that is created never dries but remains tacky for many months and will weep petroleum by-products to the surface of the paint film for years. I wash my brushes in OMG, and a good brush soap. This is enough to remove Damar from any brushes it is in. I also recycle my turps and OMG in separate mason jars that allow solids to settle into the bottom.